I think that’s what education is for: to create a populace that knows about the issues society is facing and how to address them. 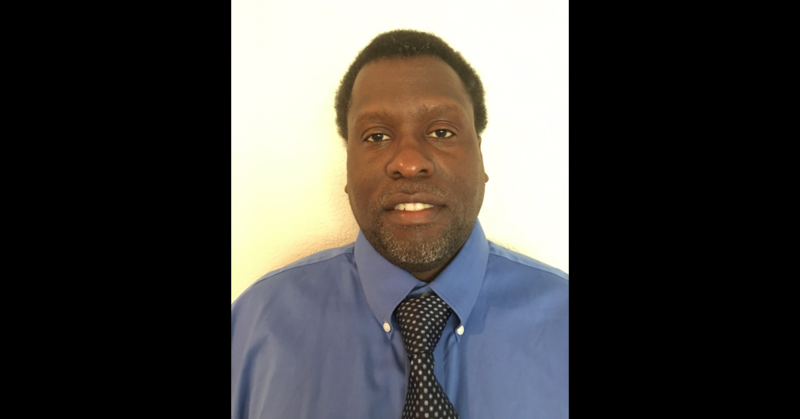 As a 6th grade math teacher in Highline School District, Raphael Munavu’s passion for social justice defines his approach to teaching math. With every lesson, he strives to help students connect math to their own lives, enabling them to think critically about the world around them. In one instance, he asked students to compare prices for the same candy bar being sold in two different stores. One was a small store within the students’ community and the other was a bigger store outside of town. After discovering a significant price difference for the same product, Munavu’s students started questioning why that was the case. Munavu first came across the idea of using a social justice approach to teaching math while working on his master’s in instructional leadership at the University of Washington College of Education. By providing students with tools to analyze social and economic inequalities that exist in their community, Munavu strives to help his students use math to better understand their personal experiences. With a background in social work, much of Munavu’s life has been devoted to learning from and serving other people. It was through his work with people struggling with homelessness that Munavu noticed a common theme in their stories. Most of them, Munavu said, believed their lives would have been different if someone intervened earlier and alluded to school as a place where that preventative work could have taken place. “That experience made me start thinking about the implications for society and looking at the outcomes for these folks if someone had intervened,” said Munavu, and eventually inspired him to go back to school to earn his teaching degree. After starting his career teaching 6th grade math and science in Los Angeles, Munavu was drawn to the UW to continue his growth as a teacher leader—an increasingly important role in schools and districts across the nation. For his capstone research, Munavu is using a social justice lens to identify barriers to success in math for African American boys. Specifically, he is studying the ways that schools communicate with African American parents about their child’s educational performance. Munavu points to research showing that teachers and administrators often speak to African American parents in a rude, patronizing way. These disparities in communication can prevent parents from effectively supporting their child through challenges in school. “I would like to implement a framework where African American families, if they need support, will be taught what kinds of questions they should be asking of educators and administrators at their schools,” he said. By empowering parents to ask the right questions, Munavu says families can make earlier interventions and improve educational outcomes for all African American students.